Who’s Safe From Amazon Infiltration – Not Even CHECKS? The Wall Street Journal (subscription required) reports that Amazon may be looking at entering the checking account game. A report from the Wall Street Journal has claimed that the retail giant is working on what it calls a “hybrid-type checking account” designed for customers. Amazon is in talks with several big banks such as JP Morgan Chase, and the main idea is to attract customers without a bank account and young people. The other reason for this move is to allow the company to reduce the fees it pays to financial institutions on every transaction. Additionally, it gives Amazon the ability to get more insight into its customers spending habits and their income. 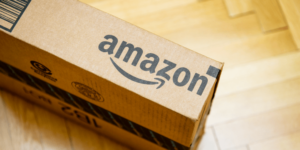 This is not an imminent development – – in fact, the WSJ reports that the Amazon hybrid checking account may never actually see the light of day. The question is whether this is might be another step toward a new category of competition to banks. This topic — and many others — will be addressed by keynote speaker Peter Davey of The Clearing House, in the session called, “The Payment Wars of Healthcare and Banking” at the 2018 Healthcare and Check Payment Technology Conference, Hosted by OrboGraph in Nashville, TN, May 8th.